If you’d like to be informed when Cally has some exciting news or a new book out please click here to join the CL Taylor Book Club. You’ll only receive emails four times a year. 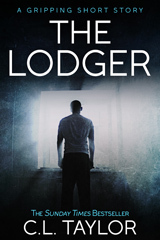 Book Club members will also receive C. L. Taylor’s 9,000 word story THE LODGER for free. Or to contact Cally directly please fill out the form below.